Why Do People Use Maral? Different parts of maral plant contain several active compounds. But maral root or maral root powder is the most commonly used forms of maral. That’s become the commonly used extracts of maral, including ecdysten and ecdysteroids, are derived from its roots. People use maral root powder for following purposes: Athletic Performance - The powder of Rhaponticum carthamoidea (maral) root is traditionally used by athletes to boost their performance during workouts. It is traditionally believed that use of maral root powder can help relax overstrained muscles and lessen weakness after overwork. Athletes all around the world, like in China, Russia and East Europe, use maral powder in order to improve their performance by adding to their general strength, decrease the time of recovery after an intense workout and gain muscles swiftly. Medical Ailments - Traditionally people use maral powder for decreasing weakness after an illness. But there is little scientific evidence that could prove the efficacy of the use of Rhaponticum carthamoidea (maral) for the cure of any ailment. Rigorous studies are required to confirm any of its commonly believed health benefits. Till now, very little is known about the safety of use of Rhaponticum carthamoidea (maral). Additional work needs to be done to determine the safety of usage of maral root powder. Possibly Unsafe - Conditions in which the use of maral powder or extract is most probably unsafe include: • Bleeding Disorders People having bleeding disorders should use maral root powder with caution because it can increase the chances of bleeding. Moreover, caution should also be observed by those patients who are already taking medicines, supplements or herbs that can increase the risk of bleeding. • With Anti-Depressive Medicines People using anti-depressant medicines should be advised to use maral powder with caution. It’s because of the intrinsic ability of Rhaponticum carthamoidea (maral) to alleviate symptoms of depression. • With Immunosuppressants Immunosuppressants are the compounds that suppress the activity of human immune system. Such compounds are the mainstay of cancer therapy. People using Immunosuppressive drugs should use Rhaponticum carthamoidea (maral) with caution because it has the ability to improve body’s immune potential. • With Weight Loss Supplements Maral root powder is not suitable for obese individuals who are using weight loss supplements. 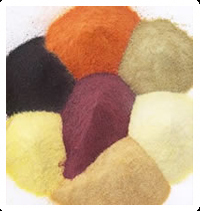 It’s because maral powder has the ability to increase body weight by increasing the mass of muscles and weight of organ. • Allergy People who are allergic to maral root powder or maral root extract should not use it. • Pregnant Females Information regarding the safety of consumption of Rhaponticum carthamoidea (maral) in pregnant females has still not been established. Therefore, maral powder is not recommended for pregnant females. Results of some experiments have shown that maral root powder may be toxic to the embryo. • Breastfeeding Females Breastfeeding females should avoid the use of maral root powder because its safety information for breastfeeding females is still lacking. Results of some researches have proven the efficacy of the use of maral powder for following conditions: Immune System Functioning - Results of preliminary research have shown that use of Rhaponticum carthamoidea (maral) may boost the immunity in athletes or patients suffering from cancer of ovaries. However, the results are not conclusive and more research is needed in this area before some solid conclusion can be made. Gardiasis is a parastic infection caused by an organism called Gardia Lamblia. The chief complaint of a patient with gardiasis is diarrhea. Studies have shown that use of Rhaponticum carthamoidea (maral) has the potential to cure this condition. Additional research is needed before something can be stated conclusively. Little is known about the exact mechanism of action of Rhaponticum carthamoidea (maral). Some studies have shown that certain compounds in Rhaponticum carthamoidea (maral) may have the same structure as human steroids. But if these compounds act like human steroids is not known. More research is needed in this area. What Are The Side Effects /Adverse Reactions of Maral? Little is known about the adverse reactions of the consumption of maral powder. More research is needed in this area. How Maral Interacts With Other Herbs and Supplements? Use of maral root powder is not suitable when used in combination with following herbs and supplements: • Herbs And Supplements Causing Bleeding Maral powder is not safe to use along with herbs and supplements that can increase the risk bleeding because maral itself can increase this risk. Such herbs include Ginkgo biloba, saw palmetto and garlic. Several cases have been reported where the use of maral root powder along with Ginkgo biloba caused bleeding. Fewer cases of bleeding have been reported for the other two herbs. Theoretically, there is a long list herbs and supplements that could increase the risk of bleeding when used with maral powder but no such case has been reported. • Miscellaneous In addition a number of other herbs and supplements can lead to significant interactions when used with maral root powder. Such herbs and supplements include: anti-bacterial agents, agents for cancer therapy, anabolic supplements, anti-oxidants, agents for anxiety and depression, anti-fungal agents, herbs and supplements for cardiovascular ailments, antiparasitics, ulcer curing herbs and supplements, agents for dysfunction of erection, immune boosting agents, hormonal supplements and herbs and agents for weight loss. How Maral Interacts With Drugs? The use of Rhaponticum carthamoidea (maral) is potentially unsafe with following drugs: • Drugs Causing Bleeding Maral powder has a potent potential to induce bleeding on its own. That’s why maral root powder is not safe for use with drugs that can increase the risk of bleeding. Such drugs include anticoagulants (blood thinners) such as warfarin (Coumadin™) or heparin, nonsteroidal anti-inflammatory drugs such as ibuprofen (Motrin™, Advil®) or naproxen (Naprosyn™, Aleve™). Aspirin and antiplatelet drugs such as clopidogrel (Plavix™). • Miscellaneous In addition a number of other drugs can lead to significant interactions when used with maral root powder. Such drugs include: anti-bacterial agents, agents for cancer therapy, anabolics, anti-oxidants, agents for anxiety and depression, anti-fungal agents, drugs for cardiovascular ailments, antiparasitics, ulcer curing drugs, agents for dysfunction of erection, immune boosting agents, drugs for hormonal imbalance and agents for weight loss. How Maral Interacts With Foods? The tendency of Rhaponticum carthamoidea (maral) to interact with foods is not known and more research is warranted in this area. How Maral Interacts With Lab Tests? Following lab tests are possibly affected with the use of maral root powder: • Coagulation Parameters The results of some clinical studies have shown that intense training and workout can increase the susceptibility of coagulation. The administration of Leveton, a tincture made from maral that contains ecdystem, for 20 days can bring the blood coagulation parameters back within normal limits. • Estrogen Binding Assay Results of some lab tests (in vitro examination) showed that lipophilic extracts derived from Rhaponticum carthamoidea (maral) possessed an agonistic binding activity at estrogenic receptors. • Aggregation of Platelets In vitro studies showed that Rhaponticum carthamoidea (maral) extracts decreased platelet accumulation triggered by ADP or collagen. • Sperm Analysis The quality of sperm and copulatory functions improved significantly in men, with problems of infertility and distorted spermatogenesis, after they consumed ecdysten (a maral root constituent). • T-Lymphocyte Count In a study, the patients consuming Admax (a combination drug having water/ethanol extracts of dried maral roots, Schizandra chinensis fruits, Rhodiola rosea and Eleutherococcus senticosus) showed four T cell subsets increase. How Maral Interacts With Diseases and Conditions? This is still unknown and more research is needed to know the interaction of maral powder with other conditions and diseases. What Should Be the Dose/Administration of Maral? The dosage for different forms of Rhaponticum carthamoidea (maral) is as following: • Capsules Take two 5 percent capsules of ecdysterone twice a day. • Decoction Add 1-2 tablespoons of maral powder (dry) to as much as 12 oz. water. Decoct for 15 to 20 minutes and sleep for 40 minutes afterwards. Use 4 oz. of this decoction on daily basis. • Tincture (1:4) Take 40 to 80 drops of tincture three times on daily basis.